Kids, Meet The 62 Heavy Vette! 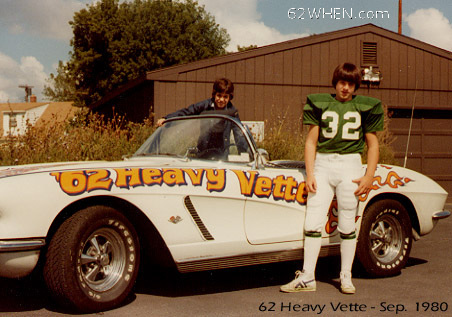 No matter whether young or old, the 62 WHEN Heavy Vette was always sure to be a big hit with listeners. Here a couple young fans have their chance at having a photo taken with one of Central New York's most iconic vehicles in 1980. This Heavy Vette paint scheme was replaced with a candy apple red customization shortly after this photo was taken. More Candy Apple Red Vette Pics HERE.